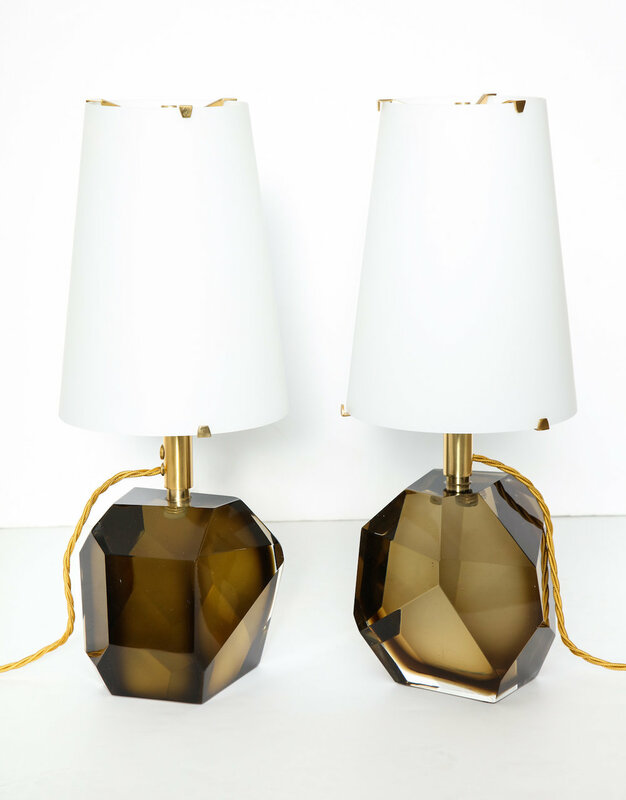 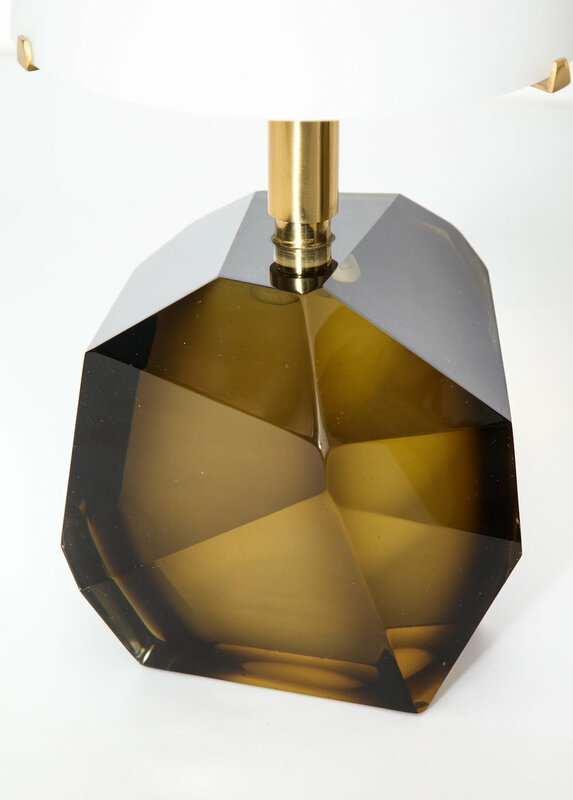 A weighty pair of studio-made table lamps with faceted, bronze-colored glass bases. 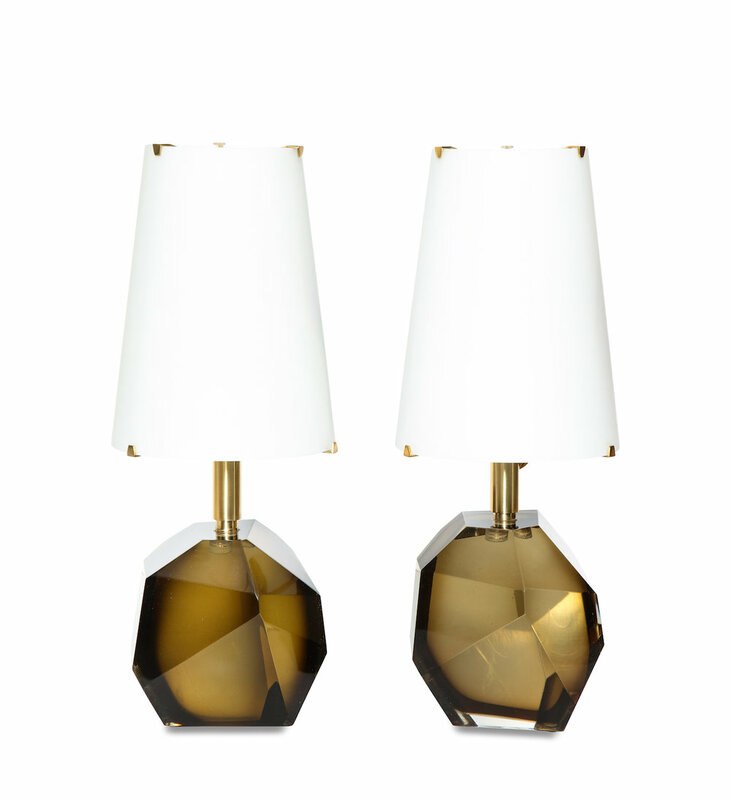 Elegantly detailed brass fittings and frosted glass shades. 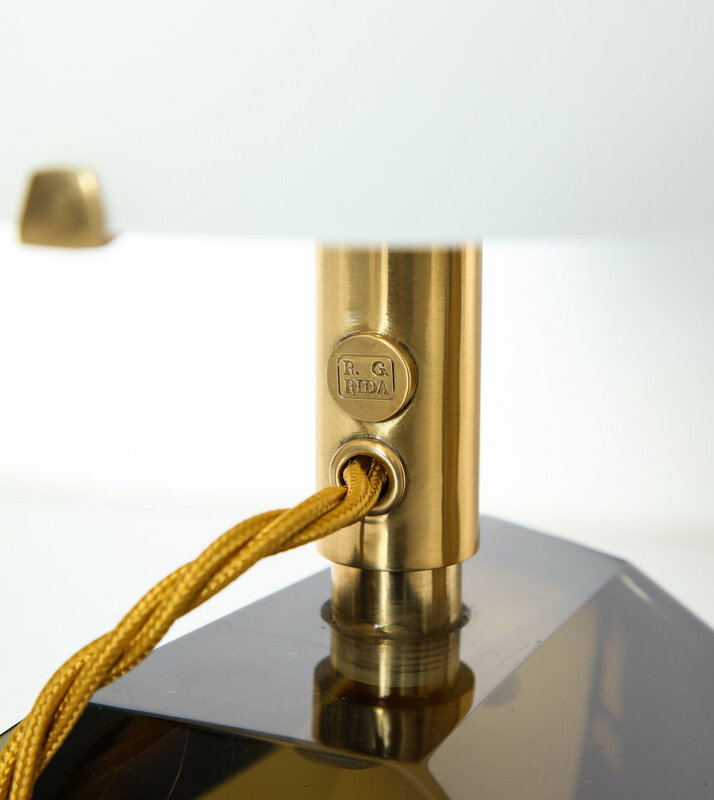 Each lamp has 3 candelabra sockets, and the artist's stamp.